Sling TV is a game changer where television is concerned. Sling TV removes the need to be saddled with a cable package that has more channels than you need and a higher bill than you want. Services like Sling TV allow you to “cut the cord” without having to sacrifice your favorite cable shows or networks, and there’s no contract, just like with Netflix. Still, many might think the idea of a cable replacement is too good to be true. That’s the entire point of this Sling TV review. We tested out the service to find out all of the details so you wouldn’t have to. All you need to do is keep reading and decide for yourself. In this Sling TV review, we will cover all of the important details of this service. We’ll answer the questions, what is Sling TV? Is Sling TV worth it? How much does Sling TV cost? What are the different Sling TV packages? We’ve also included details on the Sling TV lineup and the full Sling TV channels list. And don’t forget, you can try Sling TV free for 7 days to see if the service is right for you. Rather than giving you a big package filled with channels you won’t watch and don’t need, Sling TV cuts the fat. You get fewer channels in the basic package, but you also pay a significantly smaller amount. In fact, with the base package (Sling Orange) you receive over 30 Sling TV channels and it costs $25. They have other packages that offer a bigger selection, so when all is said and done if you purchase all of them, you will have over 100 channels – and it will still be cheaper than most cable bills! It’s all about flexibility — pay for what you want to watch. Best of all, Sling TV is non-contract. That means that there’s no need to commit to anything more than 1 month at a time, and no need to sign a 12+ month contract. Sling also won’t nickel-and-dime you with random fees and charges, as the Sling TV cost is set and simple. The price won’t go up as there’s no “introductory deal”. This greatly simplifies the entire process. When I was preparing for this Sling TV review, I signed up for the free trial. Sling TV gives you 7-days to test out the service. Signing up is as simple as putting in some basic information. It’s so easy that within 10 minutes I was signed up and browsing the Sling TV features and watching live TV! SlingTV is a month-to-month service, with no contract required. You pick the package and/or channels you want and that’s what you pay each month. Canceling is as easy as clicking a button. In the most basic sense, Sling TV essentially provides you with live streaming of a wide variety of channels, similar to a basic cable subscription. Sling TV does offer some other special features that may be useful to you, as detailed below. Full HD Streaming – As long as you have a good internet connection, you’ll enjoy clear, crisp images in full HD. Like all streaming services, the image quality only goes down if there’s a problem with your internet connection. 4K streaming is not yet available from Sling TV, just full HD 1080. Live Streaming – All national channels included with Sling TV offer live streaming. In essence, this functions in much the same way as cable does; for example, whatever is airing for cable subscribers on ESPN right now, is also airing for Sling TV subscribers. 3-Day Replay – This handy feature doesn’t come on every channel, but on the ones it does, you can scroll back and see the full schedule for the previous three days and watch these episodes on-demand. This is an awesome feature, but not all channels offer this. Cloud DVR – Sling TV recently launched a cloud DVR feature that allows users to record and watch live TV, and store up to 50 hours. The feature is not included by default, but is instead sold as an add-on feature for $5 a month. This feature works on most devices. Flexible Channel Lineup – The Sling TV lineup is impressive, and many of our readers have commented that they love the flexibility of it all. Instead of being forced to buy a 100+ channel package, of which you might actually watch 30 channels, you can start with a small and affordable base package from Sling TV and then add on additional expansions, if desired. This allows for a lot more flexibility and customization in your Sling TV channel lineup. On-Demand Content – Sling TV also offers on-demand content. So, while the cloud DVR isn’t live for everyone at this time, there is a good chance if you missed a show you can find it in the on-demand library. Also, if you add on specific channels, like HBO, the on-demand library will have as much of their content as the network provides. For instance, with HBO you’d have access to all of the HBO series episodes both past and current. Premium Channels – Select premium channels, including HBO, are also available to add-on to your existing Sling TV lineup. These channels are not included in the basic package but can be added on. HBO costs $15 per month extra and gives you access to the entire HBO library. You can also get Showtime, Starz, EPIX and Cinemax through Sling TV. A La Carte Channels – Several channels from Sling TV can be added A La Carte, meaning you don’t need to have an existing Sling TV subscription to get them. So, you can subscribe to Showtime, for instance, for just $10 a month – and get only Showtime. Or, choose to add that to a Sling TV plan for more selection! There are currently 15+ different A La Carte channels available, and this is one area that Sling is continually expanding. Mobile Viewing – Sling TV offers mobile viewing. Really, you can watch Sling TV anywhere that has Wi-Fi or cell signal. It is able to be used on a variety of devices, so that really allows you a lot of options about how and where you want to watch your favorite shows. The device list is nearly endless including cell phones and tablets (Apple and Android), computers, smart TVs, and then there are endless amounts of streaming devices. Some of the more popular options include Chromecast, Roku, Amazon Fire devices, Xbox One, and Apple TV. A FREE or discounted streaming device when you prepay for a few months of Sling TV! For me personally, this is really what it all comes down to. I couldn’t honestly give a good Sling TV review if the channels available weren’t some of the best out there. Luckily, there are some channels here that I really missed when I cut the cord, so I really appreciated being able to have them back! There are a couple different Sling TV packages available, as detailed below. 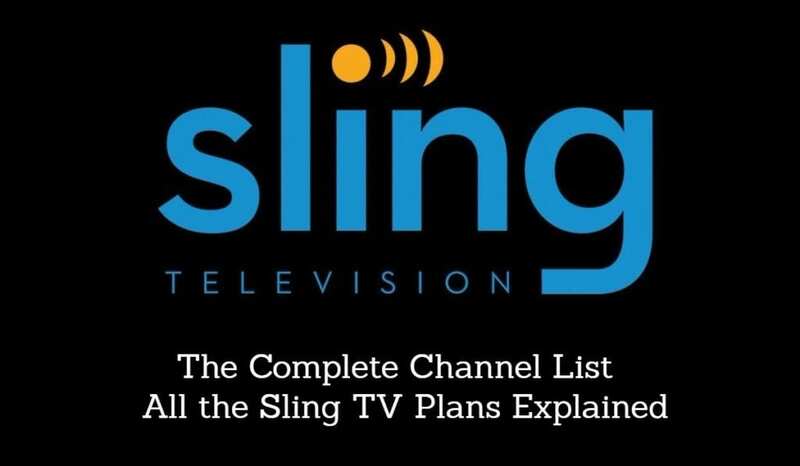 Note that the picture above includes all channels from the Sling Orange + Sling Blue package. Sling Orange (free trial available) – this is one of the base packages that costs $25 a month. Sling Orange provides over 30 channels including ESPN, AMC, CNN, Cheddar News, HGTV, Comedy Central, Cartoon Network/Adult Swim, History, Disney Channel, ESPN2, ESPN3, TNT, ACC Network Extra, Food Network, TBS, BBC America, Freeform, IFC, EPIX Drive-In, Tribeca Shortlist, A&E, Viceland, Investigation Discovery, Lifetime, Travel Channel, AXS.TV, MotorTrend, Fuse, Newsy, Cheddar Business, Cheddar News, Bloomberg Television, Local Now, Stadium, and Comet. FOX (select markets), NBC (select markets), FOX Sports Regional networks (select markets), NBC regional networks (select markets), AMC, FX, CNN, Cheddar News, HGTV, Comedy Central, USA, Cartoon Network/Adult Swim, History, Discovery, TLC, TNT, Bravo, Food Network, FS1, FS2, NBCSN, TBS, BBC America, FXX, SyFy, NickJr, IFC, EPIX Drive-In, Tribeca Shortlist, A&E, Viceland, Investigation Discovery, TruTV, Lifetime, Travel Channel, AXS.TV, Fuse, BET, National Geographic, Nat Geo Wild, Cheddar Business, Bloomberg Television, Local Now, Stadium, Comet, E! and Paramount Network. Sling Orange + Sling Blue (free trial available) – If you don’t want to sacrifice channels from either package you can combine the Sling Orange and Sling Blue packages. This combo package is $40 and includes all of the channels in both packages. They also allow for add-on channels and niche packages regardless of the plan you choose. These Sling TV packages are all $5-$15 per package/per month depending on the ones you choose. Sling Multi-Extra Discount Add-on (free trial available) – This is an add-on package that can be added on to any of the above channel packages. It adds 40+ channels for $10 per month, and essentially just adds the Comedy Extra, Kids Extra, Lifestyle Extra, and News Extra packages that are discussed below. This is a great bargain for the price, as these channel packs individually would cost $20 a month. Cloud DVR: For $5 a month, you can get the cloud DVR feature to record and store up to 50 hours of shows. Lifestyle Extra: Here you get 10+ channels for $5. You’ll get Cooking Channel, FYI, VH1, WE tv and many more. Hollywood Extra: If you want some movie channels you can get TCM, CineMoi, REELZ, SundanceTV, and others for $5. Best of Spanish TV: $5 for more than 15 channels including Azteca, History en Espanol, ESPN Deportes and more. HBO: HBO costs $15 but is essentially like having HBO NOW. The complete HBO catalog is included and always available. Showtime: Showtime costs $10 per month, and adds 8 great Showtime channels for live streaming, as well as a huge on-demand library. Starz: Starz costs $9 per month, and adds 6 Starz channels to watch live; plus on-demand content. Cinemax: Cinemax is $10 and gives you access to everything you’d get with the cable’s MaxGo service. This includes full access to all of Cinemax’s original content. EPIX: EPIX will run you $5 a month for EPIX, EPIX 2 and EPIX HITS. A variety of international channels are also available. For more information, see the full Sling TV channels list. Remember, you can try it free for 7 days and test out any of the Sling TV packages they offer. Also, keep in mind that the Sling TV channel lineup is continually evolving and expanding. If you read older Sling TV reviews it’s quite likely that the information will be out of date. Is There a Sling TV Free Trial? And remember, Sling TV is non-contract. The free/discounted device deals require you to prepay for a few months in advance, but other than that, you will never have to commit to more than 1 month at a time, and it’s very easy to cancel Sling TV if you need to. How Does the Sling TV DVR Work? DVR works on AirTV players, Amazon Fire TVs and Fire tablets, Android TVs, Android mobile devices, Apple TVs, Roku streaming players, Roku TVs, XBOX consoles and Windows 10 devices. The Sling TV DVR is super easy to use. All you need to do is find a show or movie using the guide, select it, and press “record”. You can choose to record just that show, all future shows, or all future new shows (excluding reruns). The Sling TV DVR is quite new, so you won’t necessarily see this discussed much in other Sling TV reviews. You can check the FAQ for more info. Is There a Sling TV Gift Card? For those looking to give the gift of Sling TV, you’ll be happy to learn that there is now a Sling TV gift card available. It can be purchased in-store at select retailers, including Best Buy, GameStop, and Walmart. Denominations range from $25-$100 per card. That said, using a gift card might bypass the ability to get a Sling TV trial period. In this Sling TV review, we talked a lot about the features and benefits of Sling TV. How would we wrap up our experience with the service? On the whole, Sling TV is a great service. It currently offers one of the best deals on online streaming. It has many competitors, but most are raising prices and/or cutting channels, while Sling TV appears to be staying at the affordable $25 level. We also really like the fact that you can customize your lineup with Sling, as most alternatives force you into larger packages. Bottom line, is Sling TV worth it? Absolutely! Sling TV is one of the most affordable alternatives to cable, offers a great channel selection, and is one of the best – if not the best – ways to watch live TV without cable. It comes highly recommended by us and millions of happy customers. In fact, Sling TV is currently the one of the most popular live streaming service, with more than 2 million subscribers! We are not Sling TV. You have to log into your account at sling.com to cancel. ‘ if we decide to go with sling TV can we also get Fox News? You’ll need internet service through the local ISP of your choice to use Sling TV (and any streaming service for that matter). And yes, you’d need a streaming device connected to each TV you want to use. you mention sports add ons, is Yes TV network available in Buffalo, NY? If you go to Sling’s website, you should be able to see which regional sports networks are available in your viewing area’s ZIP code. Life….package for $5.00 Could you please confirm it? Three comments: It is not how many channels but WHICH channels. Yes, Hallmark Channel is in the Lifestyle Plus add-on package for $5 an additional month, and comes with a few other great channels. As for FOX News, I’m hopeful that they will add it in the future. 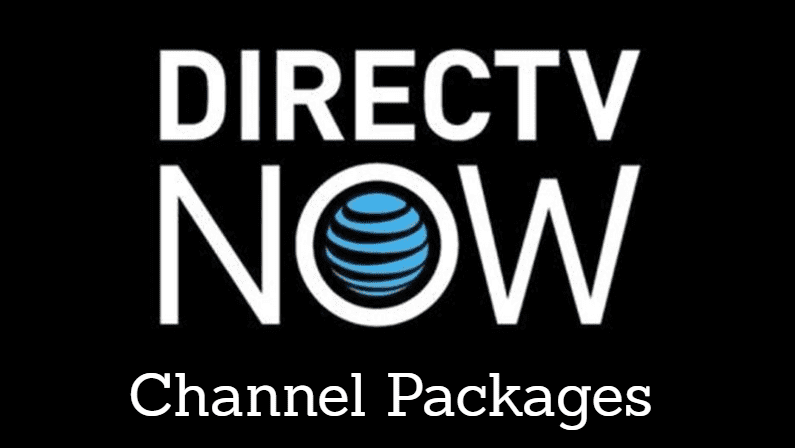 Would like package that includes OWN but did not see it listed for either Direct TV Now/Sling TV. What about religious networks as well? Presently has Direct TV bundle and is ready to renegotiate contract. What is the different between Direct TV and Direct TV Now? would need to add Fox news and PBS to get my interest. 24 hours/day of Fox News live radio broadcasts. Drop cable or DirecTV, who owns Sling and get ANY antenna that is highly rated [doesn’t need to be expensive] for your local broadcasts, Sling w/ free Roku offer and then add PBS app, Smithsonian Channel app, Fox News app and choose from over 1,000 other apps. The Roku is the most versatile, easiest to use and most trouble free of all streaming equipment I have used [I used all except Western Digital box] and together with my over the air antenna and Sling, I do NOT miss anything I really want to see and my total expense each month excluding my cable internet is only $32.00 including Sling plus my Netflix subscription. Can I get Fox News Network with sling TV? Stella, if you don’t already have a Roku streaming box or Roku USB streaming stick, you can currently get a free Roku Express streaming box by prepaying two months of Sling. Please refer to by post above directed to Shirley about the Fox News Roku app. It’s not live TV but to me, it is better since it is on demand and NO commercials. Many shows are available hours after their initial broadcast time with the occasional shows available in less than 24 hours time. If you need to supplement anything immediately, FoxNews.com is easy enough to navigate through to fill in the gaps. Good morning ,I am wanting to cut the cable cord but I still have some questions about Sling TV how many televisons can I have this on? and Is OWN part of the package? How many people can use at the same time? I have 2 children and they each have their own tv. If there are streaming devices installed on each tv, can we all watch different things? Sling Blue allows 3 concurrent streams. Sling Orange allows a single stream. Can I watch MSNBC programs on demand (later)? I just logged into my Sling account to see what they have. It has on demand content for MSNBC but it’s very minimal. Right now, it looks like last night’s episode of For the Record with Greta and a couple episodes of Lockup are available. Keep in mind this probably changes daily though. I was excited and wanted to try sling TV, but now I am terrified. If l cancel my cable TV and sling is anything like the reviews I have read, my family and I will be devastated. Now I don’t know what to do, as much as I want to switch to sling, these reviews have scared me away. I am so disappointed. I personally really enjoy Sling and use it almost daily. The service has definitely come a long way since it’s initial launch. My suggestion would be to keep your cable while at the same time trying a free trial of Sling TV. That way, you can see if you like the service, and if so, then you can cancel cable. If you don’t like it, just cancel before the trial is up and keep your cable until something better comes along. Will you be adding Fox new and Fox business anytime soon? Sling tv customer for 2 years now: This is a ground breaking service and one that broke the mold. Most issues I have ever seen is consumers using slow internet causing it to not work correctly. In the sling settings you can adjust the picture quality to fit your internet speed. What other service allows you to pick your channels and adjust it every month and change options anytime you want. No contract or late fees. They offer most channels that consumers want including movie channels. Instead of complaining about the service, take time to learn all it has to offer compared to satellite or cable. They only has 2 episodes of Season 3 , which I can watch anytime for FREE on my cable!! Seasons 1 and 2 are available on Netflix. Sling TV is more of a cable alternative. While it has a ton of on-demand content, it’s strength is in its live TV offering. Can I use Amazon Fire Stick For Sling tv? Can I get The CW station live in DALLAS/FORT WORTH AREA? Sling TV doesn’t carry CW at this time. I am using a Sony DVD player for my Netflix, can Sling be streamed the same way or should I get a steaming device? You’d need a streaming player. Unfortunately, DVD players tend to not support many apps, and their apps that they do have are often the last to get upgrades and updates, so they’re typically woefully outdated. I’m really nervous now. I am in day 5 of my 7 day free trial. I can only watch Sling TV on my desktop computer or Kindle 7 Fire. 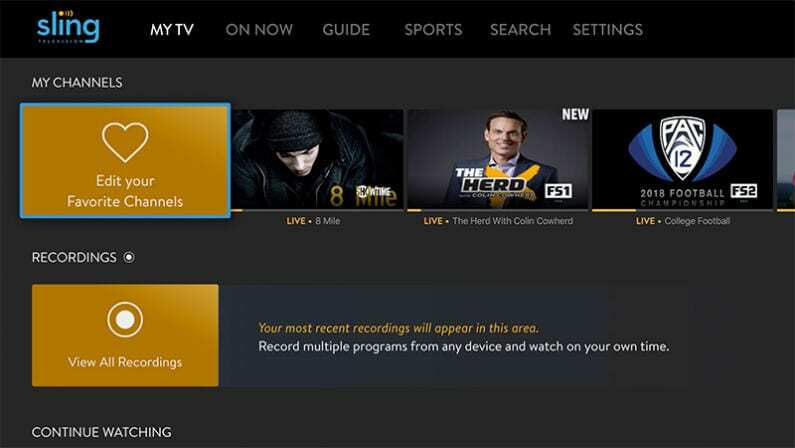 There are issues with Windows 10 and Sling TV. I have to guide with grid like on Diretv on my desktop. On my Kindle, I do have the grid guide but the times on the grid are 7 hours ahead of my time. When I called SlingTV about it, they said they would escalate my issue and I would receive an email back. I’ve never received an email back. I have the slowest speed internet that Century Link offers and it more than meets my needs. I don’t have a problem watching Sling TV with my internet speed. Hope it will be ok on my tv when I sign up for it. I will use the AirTVPlayer with a digital antenna to get local stations. I’m very nervous after reading all the negative comments here but I can’t stand using Diretv and their deceptive pricing anymore. And Cox Cable is no different and more expensive than Directv. What’s a consumer to do? Any advice? suggestions? Thank you. how do i sign up for7 days trial . i have Comcast cable and internet $130/momth now but want to cancel because i only watch 4 channels. do u also have internet ? You can sign up for the free trial by clicking on one of the free trial links in this guide. You will need to have internet from a separate internet service provider. Gary, it’s available on smart TVs that are powered by Roku or Amazon Fire TV (some of the TCLs, Hisense, Elements, and more.